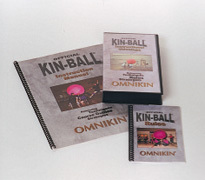 Perhaps you’re new to Kin-Ball as well as your pupils and you want them to be thoroughly immersed in the game? Then why not, book an all day fun Kin-Ball Taster Workshop - where I come along with my demo kit and teach the basics of the game, at the same time, introduce the pupils to some of the other games that you can do outside of Kin-Ball. I’m use to handling up to around 35 mixed pupils at a time. Based on your location. I’ll come back to you with a price. 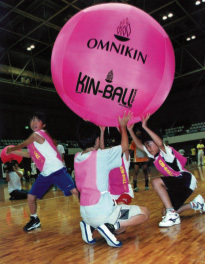 * If required we can substitute the Full size Kin-Ball for two small Kin-Balls (84cm) with the Starter Pack. The most exciting explosive game you'll play! On a budget - we can now offer a cheaper inflator. Ideal for pumping up those Kin-Balls. See a game of KIN-BALL Sport in action. The instructional DVD summarises the basic rules and strategies of the game, and illustrates basic defensive and offensive moves. The official KIN-BALL Sport scoreboard can record up to 99 points per match for each of the three teams. Made from durable PVC plastic, folds conveniently for portability. 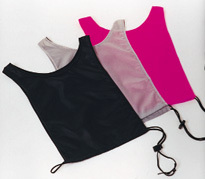 The official KIN-BALL Sport Pinnies in the three team colours of black, grey and pink. 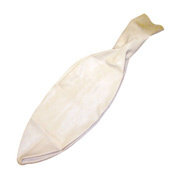 Made from resistant 100% nylon and featuring an adjustable draw cord to fit all sizes. Available in a set of twelve, four of each colour.